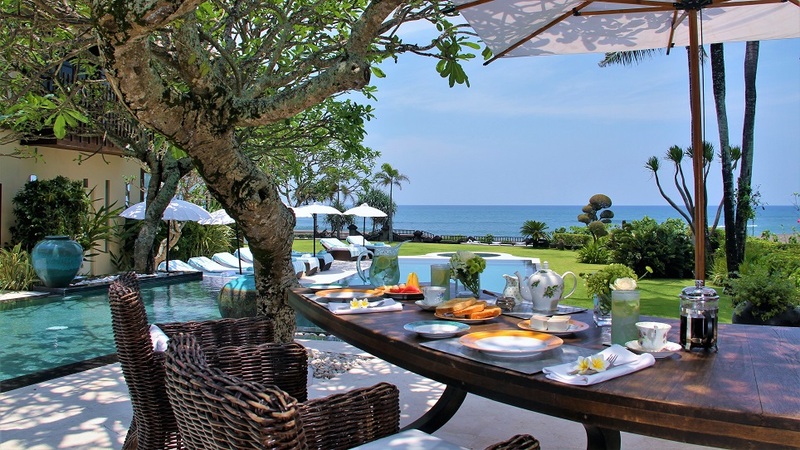 While Villa Ambra might represent the epitome of holiday luxury, its location means it’s an intrinsic part of traditional Balinese rural life. The farming families who plant, nurture, and harvest the ricefields, and the fishermen who take to the sea according to the wind and the currents are part of the Villa Ambra experience. They often perform religious ceremonies on the beach in front of the villa. Coming and going to the villa, you’ll see the current phase in rice cultivation, and if you walk up the beach a couple of hundred metres, you can enjoy watching the fishermen putting to sea, or returning with their catch.